Give your customers more choice and reduce the risk of payment errors, with QR Codes from BPAY. QR Codes let your customers make a bill payment in seconds, simply by scanning the QR code on their paper or electronic bill with their mobile or tablet device. The easier it is for your customers to pay, the more likely they are to pay on time, improving your business cash flow. QR Codes are easy for your business to create and use, with step-by-step support from your financial institution. 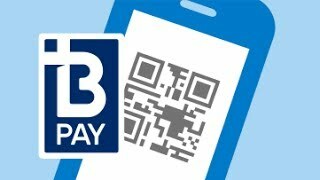 BPAY QR codes can currently be scanned using NAB’s mobile banking applications. Your financial institution can help you apply the BPAY QR Code specifications to create a BPAY QR Code for each bill, based on the billing information you already sent to your printer or Bill Service Provider. When customers receive your bill, they can log onto their mobile banking app and if their financial institution offers BPAY QR code compatibility, they can scan the BPAY QR Code. The application automatically creates a BPAY payment, so they can complete the transaction in moments. QR stands for "quick response" — and QR codes are a quick way for your customers to create a bill payment and register for BPAY View. They’ll be delighted by the speed and convenience of fast and easy registrations or payments, and you’ll enjoy the improved cash flow and easier reconciliation that electronic payments can bring.